One of the main points in Lesson 11 was the Nine Eras of the Bible. In this lesson, Pastor Scott Craig unpacks the Exodus era. This is a lengthy lesson but well worth the attention. The remaining four books of the Pentateuch record the Exodus Era (“departure”), which was the mass movement of the Israelites out of slavery in Egypt, where they were aliens for 400 years, just as God told Abraham in Genesis 15:12-16. Continuing with the Doctrine of Scriptures, Pastor Scott Craig illuminates more on the Canonization of the Bible. » How do we KNOW the Bible we have today IS the same as the scriptures of origin? = The Masoretes (traditionalists) between A.D. 600 and 950 added accents and vowel points and standardized the Hebrew text. They also devised complicated safeguards for the making of copies: They checked each copy carefully by counting the middle letter of pages, books, and sections. Now that the Doctrine of God is completed, Lessons 1 through 7, Pastor Scott Craig enters into the Doctrine of the Scriptures. D. THE LOVE OF GOD. What is often missed is God has a love for humanity, Romans 5:8, and a special love for believers, John 16:27. In this session, The Holiness of God is discussed with great joy. Which spilled over into The Righteousness and Justice of God. The sought answer to the question oft asked by Atheists and other non-Christians; “How can a good god allow so much [suffering or any other difficult circumstance] in the world?” exemplifies their awareness of godly justice. God can be known by His attributes. 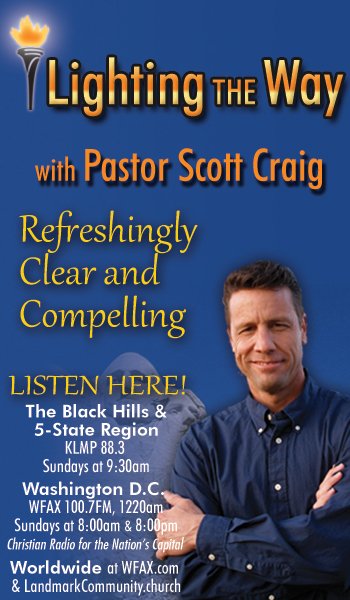 In this lesson, Pastor Scott Craig of Landmark Community Church Rapid City, identifies some of the characteristics of God. Humankind everywhere has a belief in the supreme being(s) to whom they are morally responsible The one they must make up to for all the bad they have committed. It is an inate sense thoughout all humanity.